Our latest Courses blog puts trainer Rob Pippan in the spotlight. 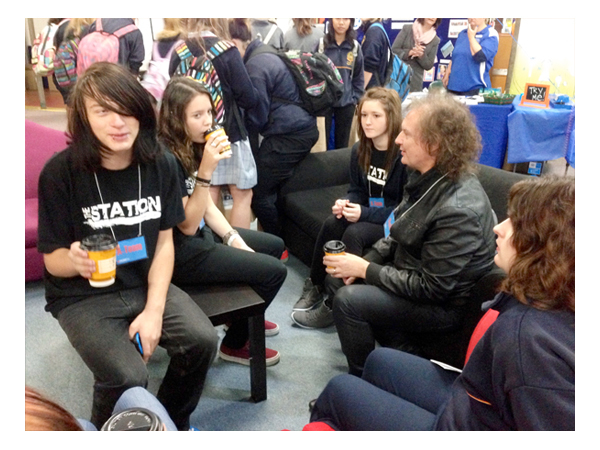 Rob has been mentoring and couching emerging artists each week over the full year in 2014 at The Station-Murray Bridge. These emerging artists jammed weekly in a creative, industry based environment, with state of the art equipment purchased this year. Rob facilitates all these creative ensemble music performances. He has helped participants to examine the different styles of contemporary music and their relevance, learn structured methods, explore creativity, practice ensemble performance, get the right sound on stage, set up and use the in house P.A., and improve rehearsal techniques. Just last night at The Station, Rob was involved in the first ever session of “Band Connection”, where a group of 12 pre-emerging artists jammed for the first time in a real-time session. One 14 year old guy heard his original song played live for the first time! 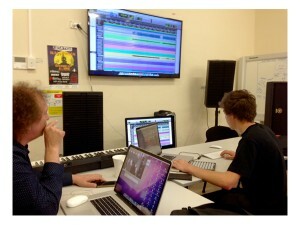 Rob has also trained young artists at FAME in Christies Beach, culminating last week in producing demos of their work at Fat Trax Studio. Plus, he has local shows weekly with Supertonic, Hothouse, 2 In The House, and Cold Chisel tribute EAST. Those emerging artists working with Rob are given an amazing kick-start to their understanding and practice in performance and recording.